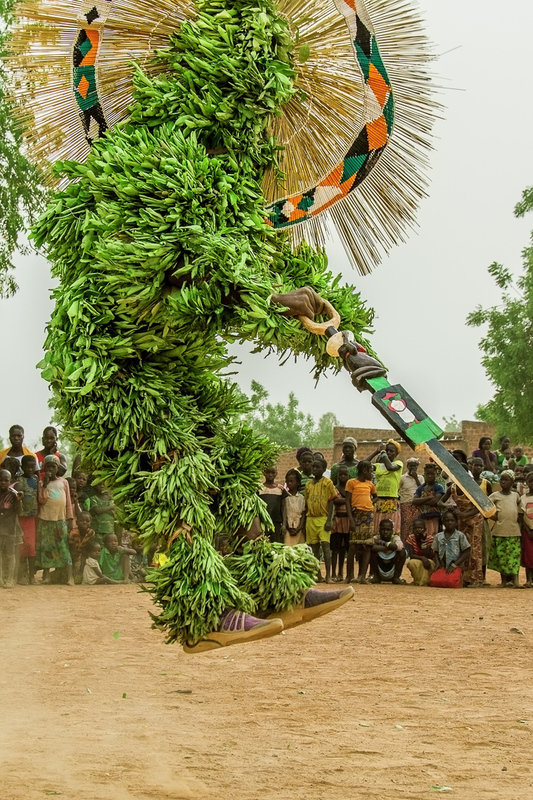 The leaf masks of the Bwa and Bobo are considered to be the most sacred as they embody Dwo, son of the creator god and enable a direct communication with the god. This mask is danced at harvest time to restore the balance of the land that is destroyed by cultivation. The fan-shaped crest atop the leaf mask is made of millet stalks supported by porcupine quills. Made from the sacred leaves of the karite tree, the mask must be burned at the end of the day.